Contemporary two-tone accent pillow cover with sophisticated embroidering makes it easy for you to make a statement in your living room, den, bedroom or guest room. 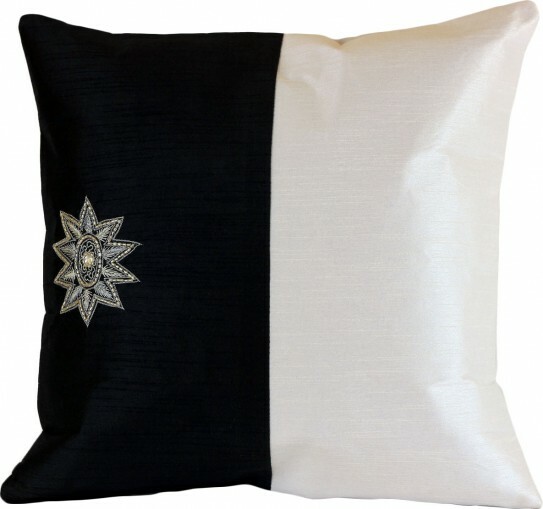 Simple yet striking, this fashionable accent pillow cover is up to date with today’s trends. 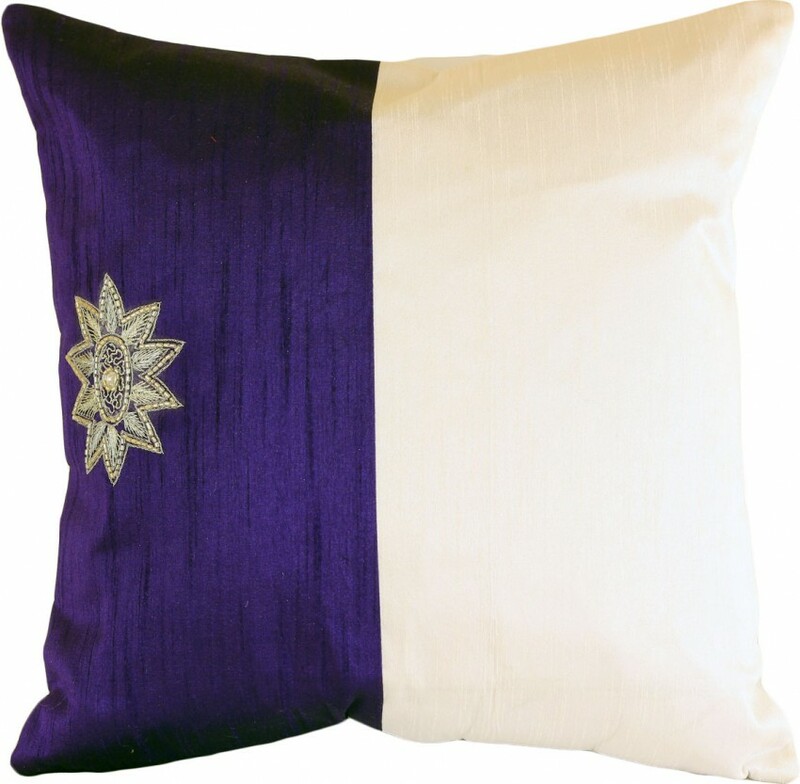 Featuring a delicately hand-embroidered star style design on one side and soft-to-the-touch fabric, this pillow cover set is the perfect addition to your home. 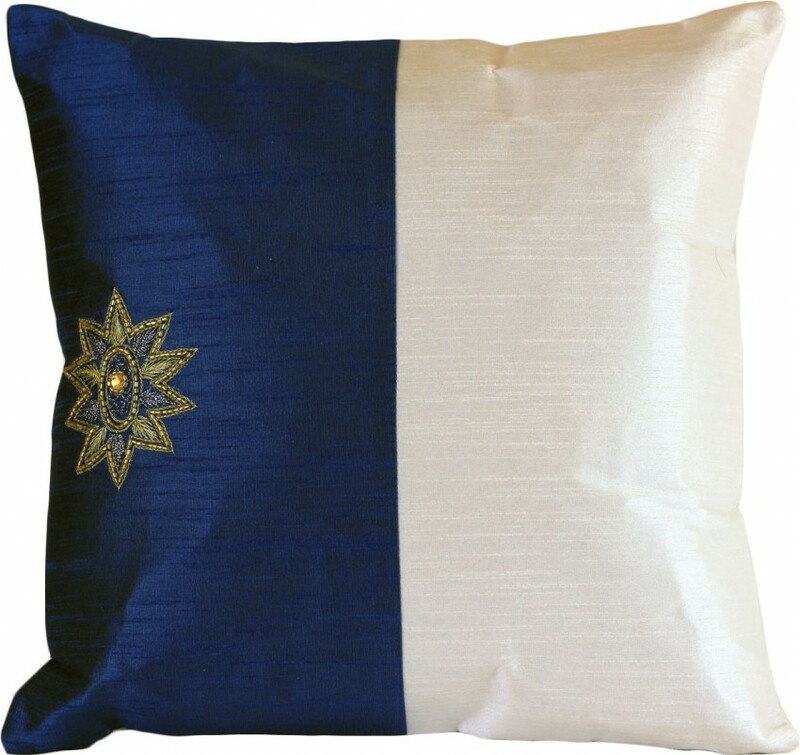 The hidden zipper in the back makes it easy to add these over your current throw pillows or swap them out with other pillow covers quickly, anytime you feel like changing around the look and feel of your surroundings. 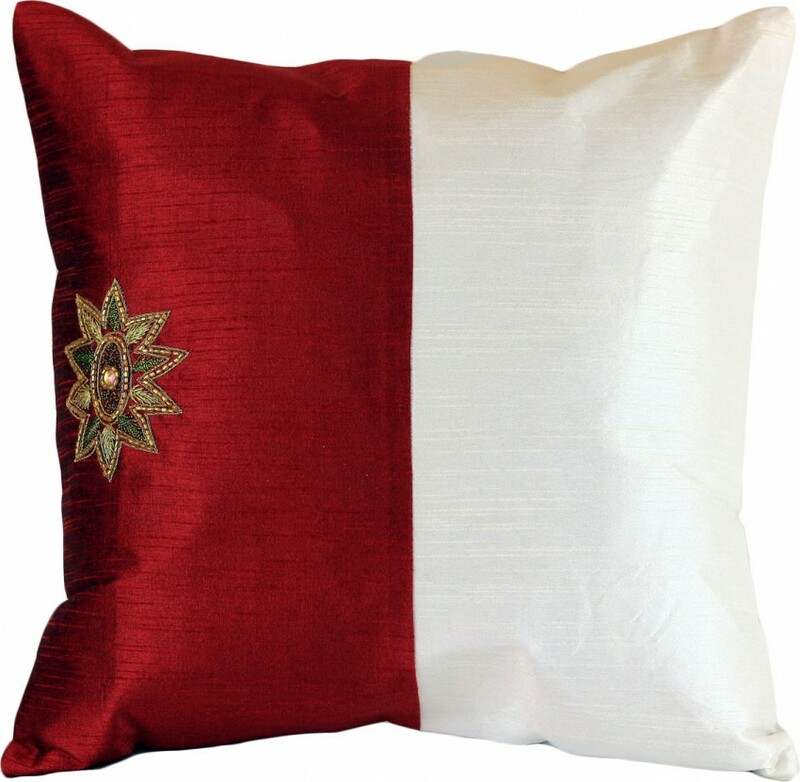 The beautiful contrast between bold colors and pure pristine white will instantly brighten your home, and make an excellent conversation piece.